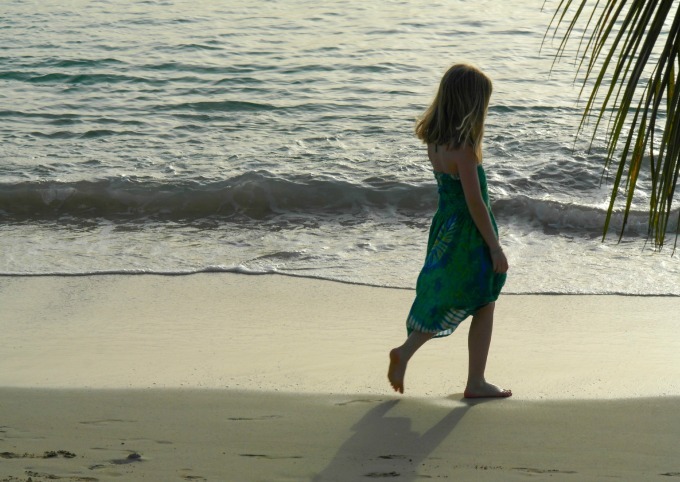 One of our team, Helen, recently returned from a family holiday to Barbados. We drooled over her Instagram feed for two weeks, and then insisted that she share her top experiences with us. Not surprisingly, they all centred around the beach. 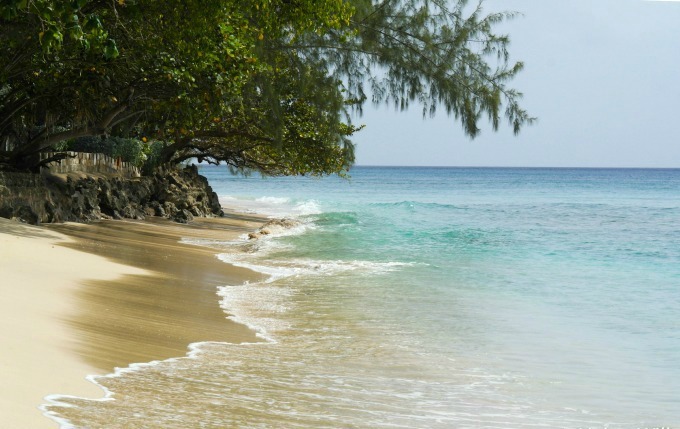 Here she tells us where the best Barbados beaches are – and what to do on them. 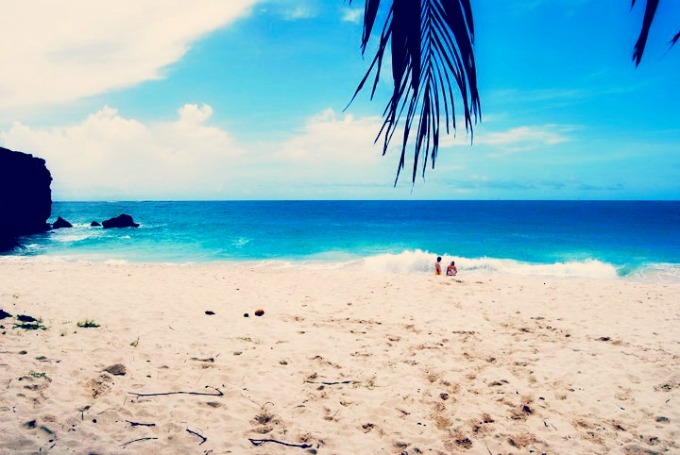 When you think of the Caribbean island of Barbados, you think of the beach. 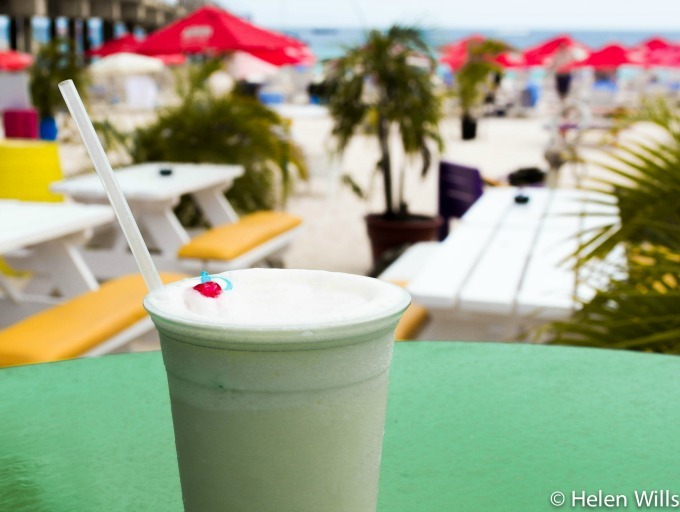 You drift into a daydream of sparkling sea, superfine sand, and piña coladas. And the beaches of Barbados are exactly that. But each of them has its own personality, as we discovered on our travels. Head to Zacchios, in Holetown for the most relaxed family dining you can imagine. Simple, but delicious food, if you’re there by 6pm you’ll bag a table on the verandah, where you can nibble on coconut shrimp as your children run along the shores below. There’s a children’s menu, but the lamb rack went down a storm with our 10 year old, who described the garlic potatoes as ‘clouds,’ and insisted on a return visit. Zacchios again. 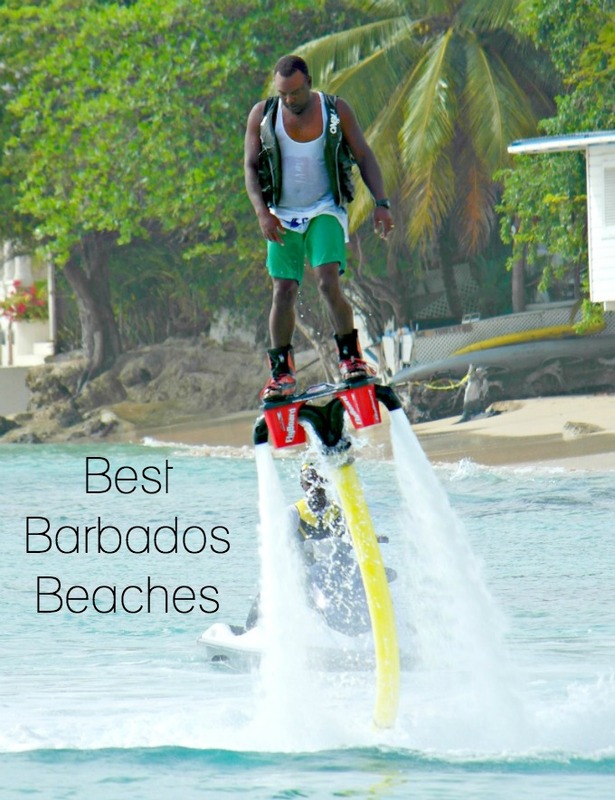 To be honest, you’ll find teams of likely lads all over the west coast of Barbados, fully equipped with jet-ski’s, boats, and various attachements, but if you can find Marvin, on the beach at Zacchios, he’s one of the warmest traders there is. Swimming with turtles, riding an inflatable sofa, catching fish for a barbeque on the beach – he can organise it all for you, and you won’t regret the cost. You can read more about the inflatable sofa ride on Helen’s blog. Take a trip to Bathsheba, (via the funny green monkeys of the Barbados Wildlife Reserve) and you’ll find a treasure trove of discoveries. 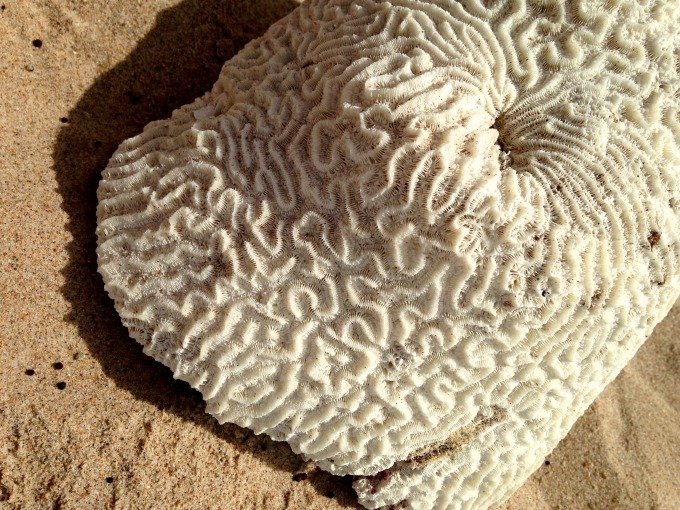 Brain coral washed up on shore with the rocks, tiny hermit crabs scuttling under shells, and coconuts blown down by the wind (don’t try to eat them, they’ve been there too long). And when you’re hungry, The Roundhouse offers gorgeous views with equally gorgeous food. The East coast of the island, with the crashing waves of the Atlantic, is where you’ll find the most stunning views. Steph recommended a place she calls The Spout, at Ladder Bay in St Lucy, on the north-eastern tip of Barbados. Here you will capture the most stunning photographs, as water spurts up to 30 metres into the air courtesy of a spectacular blowhole. Although she did tell a story of an attempted theft of their camera from the car as they stopped en-route, so be careful and keep your doors locked as you travel. Thank goodness she got this beautiful shot! Tanya also gave us this stunning shot of Barclays Park beach, which, although deserted here is perfect for surfing. 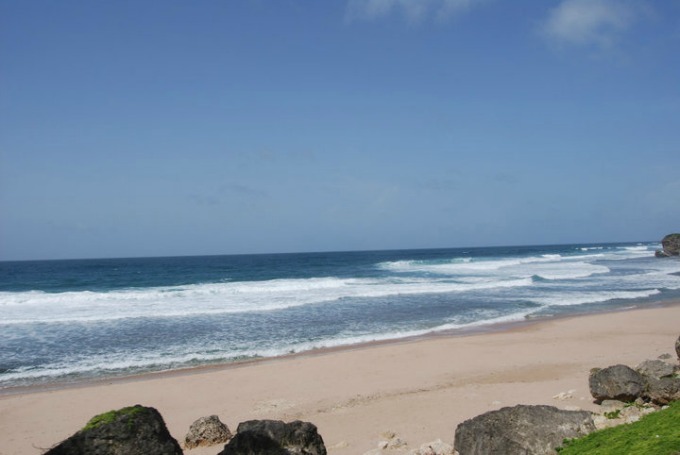 Actually, pretty much every beach in Barbados is chilled out most of the time, with vast open spaces. Just imagine all this open surf to yourself. Heaven on a surfboard! Okay, we’re not really talking the beach here (though there is a rocky shoreline) but we can’t really write about Barbados without mentioning Oistins Fish Fry. 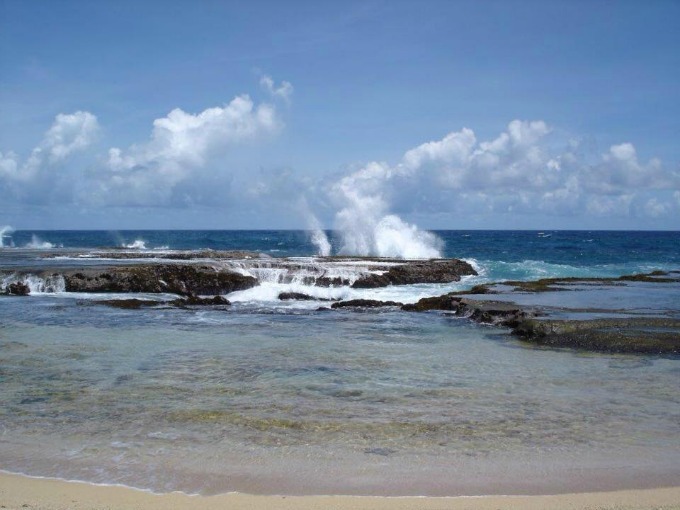 Oistins is a working fishing town – you can take a trip early in the morning when the fish is coming in, for impressive sights of huge tuna and swordfish being lined up for the market. 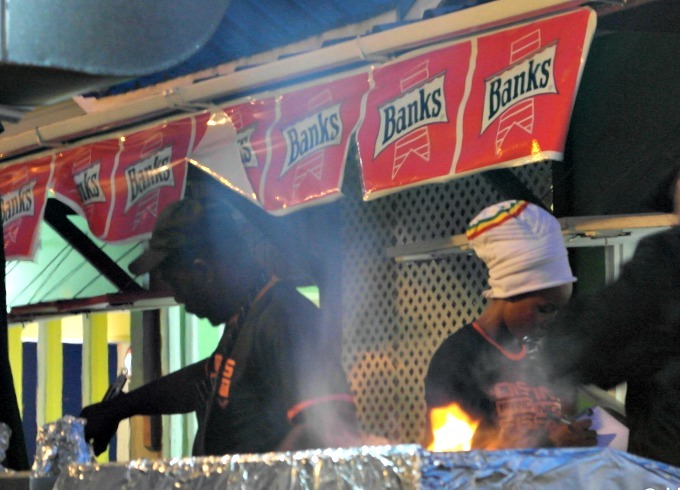 But Friday night is when Oistins comes alive, with a ‘street-food’ feel and some of the best fresh-fried fish you’ll ever eat. Tourists and locals alike congregate here for an inexpensive but delicious meal, cooked right there as you eat, on vast flame-bursting griddles and fryers. An experience not to be missed. If you’re in the mood for a party, you need to head for Brownes Beach, Carlisle Bay, not far from the capital of Bridgetown. There, you will find The Boatyard, an almost bewildering concept that sees you queuing up streetside to pay for entry to a beach you may have just walked along to from your hotel. You won’t get a sunbed here, or a drink, unless you pay for the daily wristband. BUT, it is so worth it. What you spend on your entrance fee is redeemable in the bar against food and drink, you won’t pay extra for a sunbed, or a towel, or the ocean slide, trampoline and rope swing that are just some of the features of the seafront here. The food is good, the cocktails the best we had all week, and if you’re really in the mood to crank things up a notch, you can race to be first at the bar for the regular free shots sessions they do (considerately, they announce these in advance and warn children to stay well away)! Great for the kids during the day, I was sorely tempted to return without them for the evening bonfire on Carnival Wednesday. Psst! We’ve been shortlisted in the Travel category of the Brilliance In Blogging Awards! We are over the moon and we would love it if you could spare a few minutes to vote for us over here. Thank you so much. We felt so lucky Donna – if you ever plan a trip to the Caribbean, you won’t go far wrong with Barbados. Dezz-Thank you, so I am in bug mode!..lol.I tried to fix it, nada…maybe a different pic~Thank you, you are sweet and thanks for letting me know about the image! Uh, uh, uh – bin ich zu spÃ¤t dran???? Na, egal – ich finde die Oilily Handbag mit den Indigo Leafs toaaaaaaaataaaaaal schÃ¶n. Und die Holzbuchstaben mit …. L O V E …… sehr sehr sehr schÃ¶n.Vielen Dank fÃ¼r den Hinweis auf diesen feinen Webshop! Liebste GrÃ¼ÃŸe!!!!! !